Selected works of modern art from renowned private collections are on temporary loan to the National Gallery’s permanent exhibition at the Trade Fair Palace. The initiative, called Echoes of Generosity, is a follow-up to the exhibition Generosity: The Art of Giving, which commemorated the National Gallery’s 220th anniversary. Echoes of Generosity aims to honour and acknowledge the private collectors whose generosity has enriched the collections of the National Gallery so many times with important artworks, whether as gifts, bequests or long-term loans. 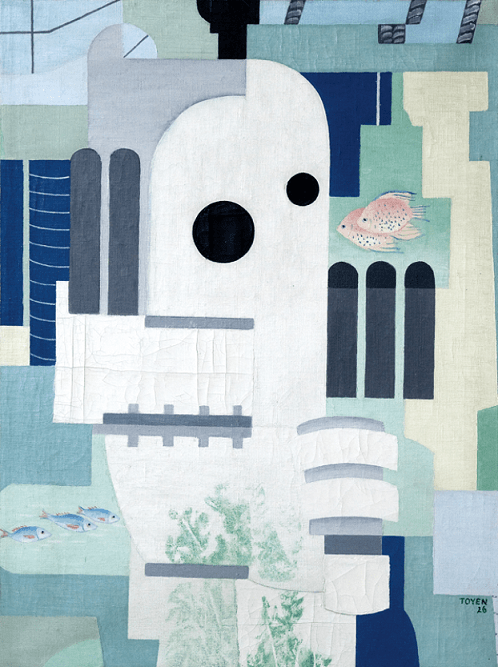 Two masterpieces from the Pudil Family Foundation can now be seen at the Trade Fair Place – Diver (Toyen) and Aquarium (Jindřich Štyrský). The exhibition also includes works by Josef Šíma, Josef Čapek, Květa Válová, Mikuláš Medek, Victor Vasarely, Zdeněk Sýkora, Jan Kubíček and Richard Avedon, on loan from the PPF Group Collection, the Otakar Štorch-Marien Collection, the Světlík Art Foundation and others. from 24 June 2016 to 30 June 2017.